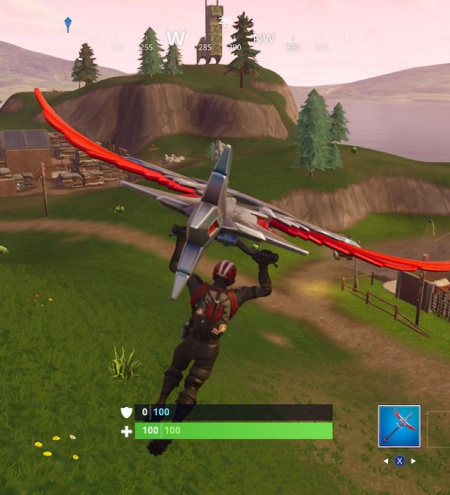 Searching between movie titles is one of the weekly challenges in Fortnite. 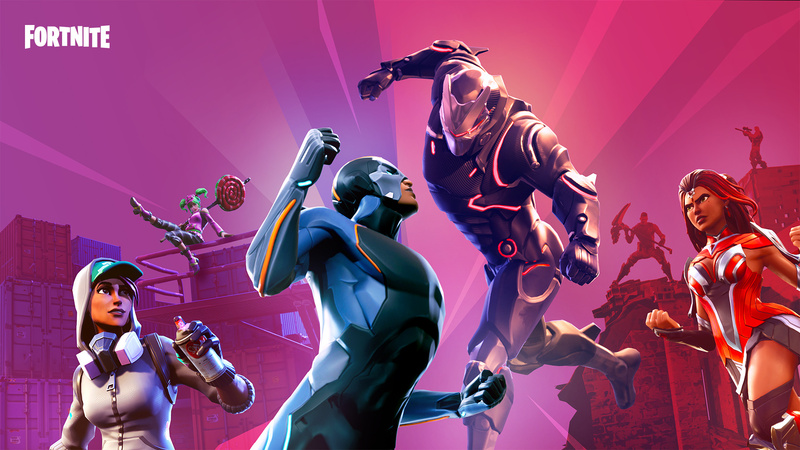 Complete it and you'll earn XP and Battle Stars that will help boost you up the Battle Pass tiers for those sweet exclusive rewards. 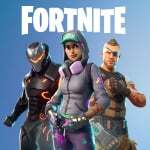 In this guide, we're going to help you find the exact location you need to search so you can complete this challenge with relative ease. That way you can move onto completing the other difficult challenge for this week – skydiving through floating rings. 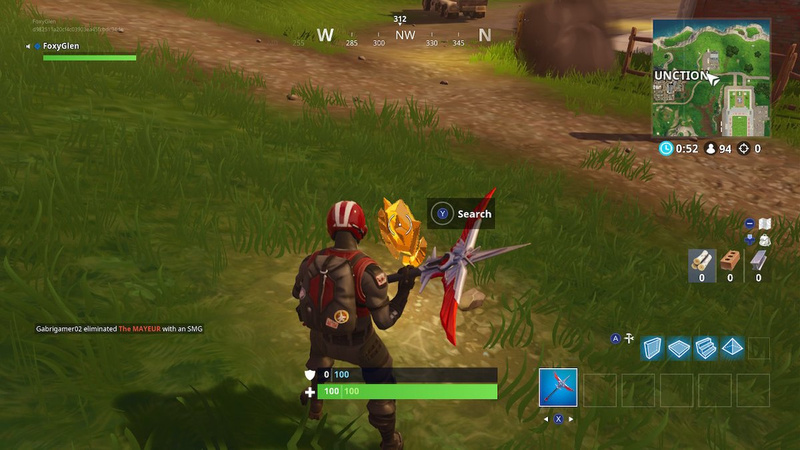 This treasure hunt challenge is a little tougher than we've seen in previous weeks. 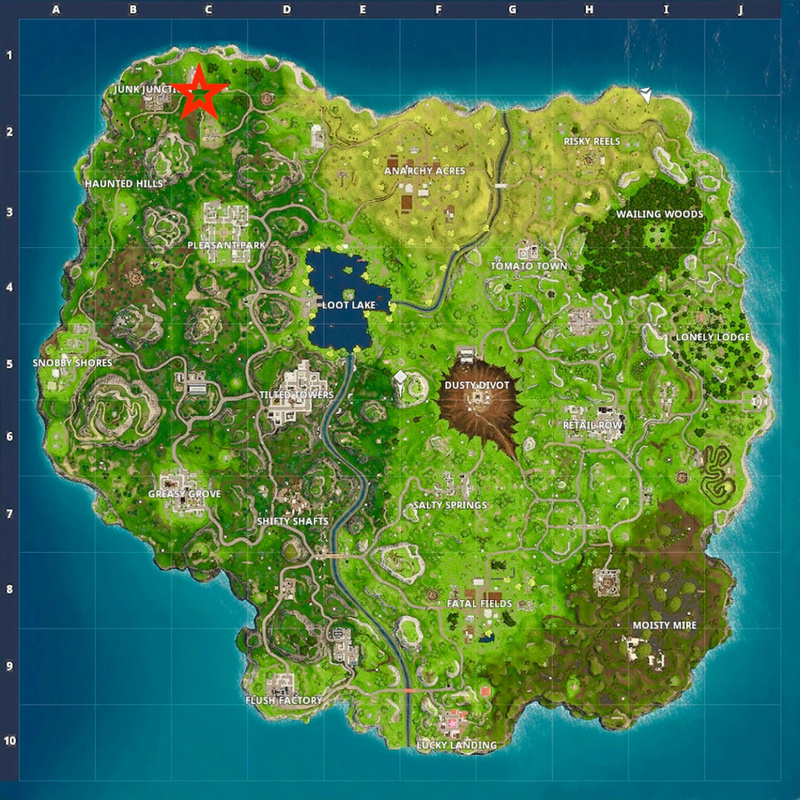 Rather than simply search through between three different locations that are (often) visible on the map, you have to first find three movie titles, then work out the locations they're detailing. 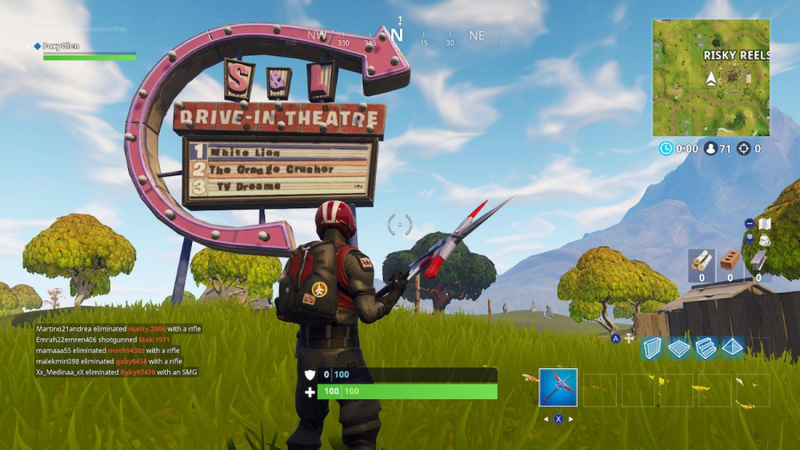 Fortunately, all three movie titles are in the same location just outside of Risky Reels on the 'Drive-In Theatre' sign. 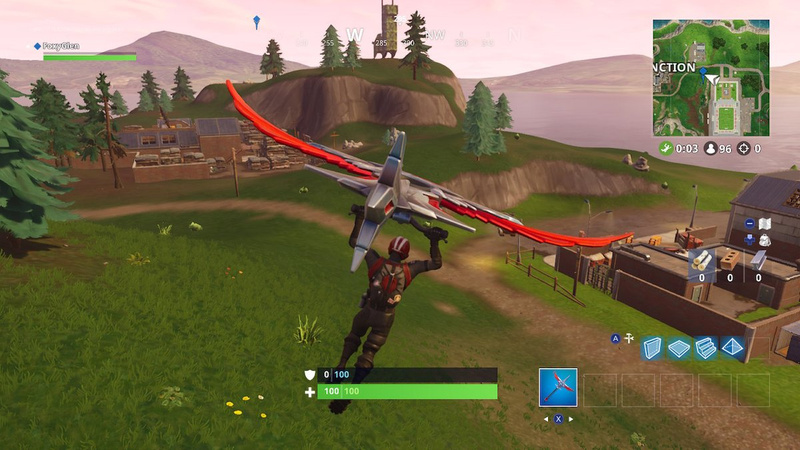 The location these movie titles are pointing to is in the northeast section of Junk Junction. Glide down from above between the 'N' in 'Junction' and the massive football stadium and you should see a patch of dirt among the grass by the road. Walk up to the patch of dirt and a treasure will appear. Simply hold Y to search it and it's yours – the challenge is now complete. Use our map above and screenshots below to help narrow down the location. Also bear in mind that you do have to go on to finish this particular match of Fortnite to mark this challenge as complete. Quit and you'll fail, having to start all over again. The image on the left shows the patch of dirt from above, which is just to the right of our character. 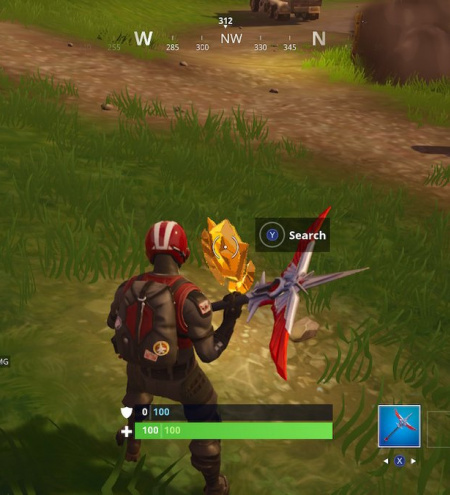 The screenshot on the right shows the exact spot of the treasure. Thanks, dood! I figured it had something to do with Risky Reels. I like having these here so I don't have to Google search, as well. @HobbitGamer Always happy to help!